Based on 1374 customer ratings. You’ll never forget the experience of eating Giordano’s, whether you’re in our Grand Avenue restaurant or the comfort of your own home. Stop by and sit in our dining room, where you can enjoy your choice of beer and wine, or call us to place an order. We make deliveries fast and pickup even faster! You already know the name Giordano’s as the best pizza place in Chicago. Wouldn’t it be nice if you could enjoy our classic Chicago-style pizza a little closer to home? With our Gurnee location, you can! Giordano’s has made the best Chicago-style pizza for over 40 years. We’re a cherished Chicago tradition, and you’ll love our savory pizza pies — each one handcrafted by no fewer than 6 carefully trained artisans. 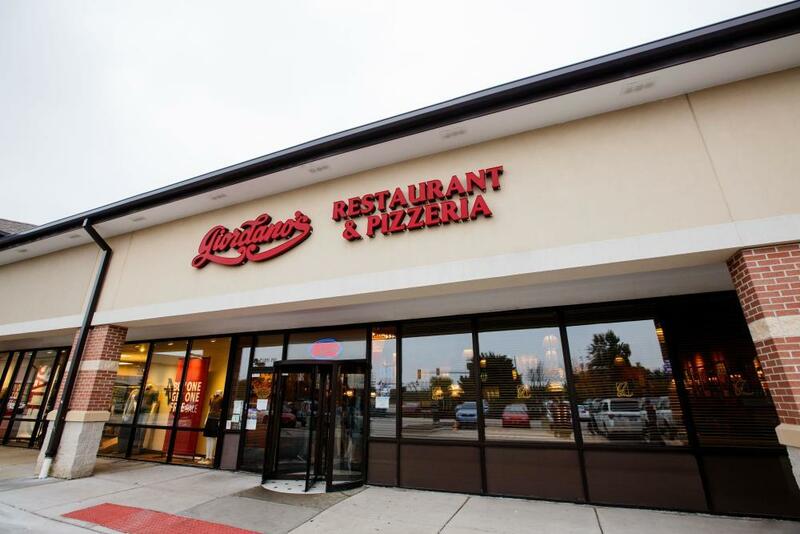 Isn’t it time you brought the best pizza place in Chicago back home to Gurnee? Every Pizza, Tenderly Handcrafted Giordano’s stuffed pizzas are unlike any pizzas anywhere in the world. We slow-bake our pies until our crusts reach flaky perfection. We add layer upon delicious layer of the ripest tomatoes, freshest vegetables and finest meats, however you prefer. We add cheese made just for us from a small Wisconsin farm. When you have a Giordano’s pie, you’ll see why we’re the best pizza delivery and restaurant this side of Chicago. Italy is more than Rome and Giordano’s is more than pizza! Don’t forget to check out our full menu, which features pastas you’ll love and sandwiches that will keep you coming back for more. We also have fresh and delicious salads and a variety of gluten-free options — just ask.